A montage of a Blood Moon lunar eclipse. 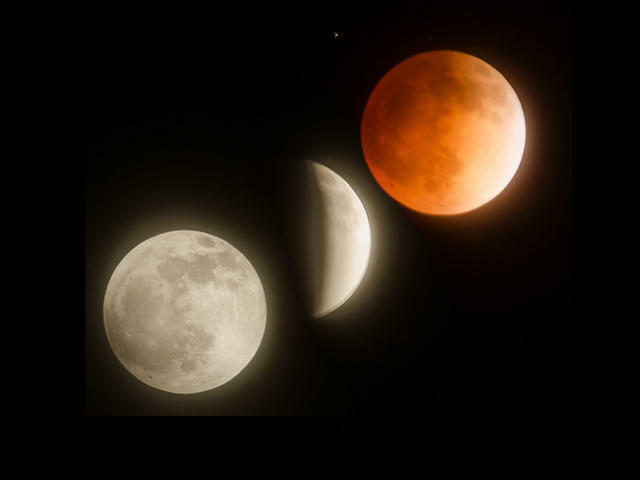 “As the moon is rising, the lunar eclipse will have already begun. So the moon will rise on September 27th and it will be this really dark, blood red, classic, you know, science fiction moon,” says Jackson. A lunar eclipse is when Earth’s shadow blocks the sun, blotting out the moon’s light. A Blood Moon eclipse is when light is refracted from Earth’s atmosphere. The light only shows up on the moon when it is in Earth’s shadow. 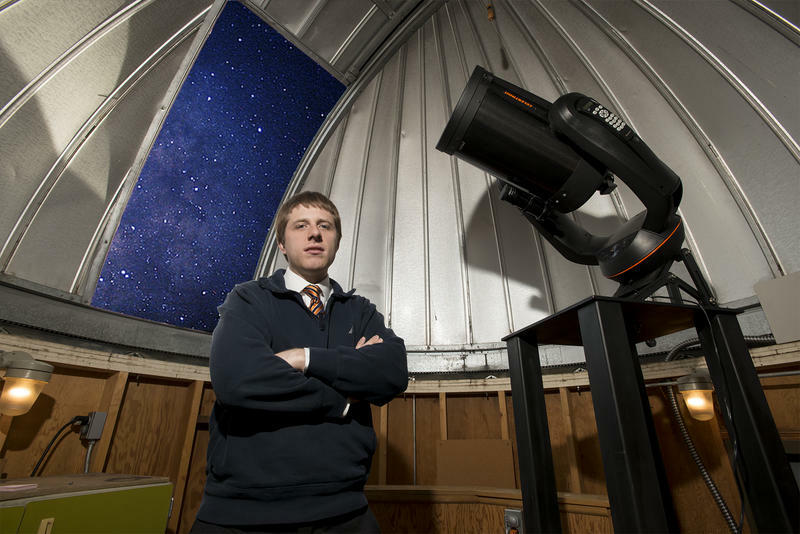 Jackson and the BSU Physics and Astronomy club are planning an eclipse party Sunday night at 7 p.m. on the roof of the Brady Street parking garage. They’ll have 11 inch telescopes on hand for anyone to watch the eclipse happen.